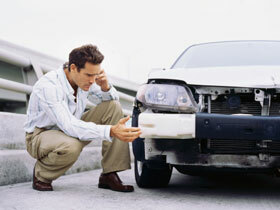 By Dr. Robert Cummins – Car accidents can be devastating to your health. Even small accidents can cause whiplash and other neck, back and body pains. It can take months or even years to recover, and sadly, some people never do. A professional handyman from Eastgate, Bellevue recently came in to Cummins Chiropractic to get help for his auto accident injuries. That accident wasn’t anything too severe, but I am writing today because accidents don’t need to be huge to put the victims in pain. As a handyman, this patient needed the full use of his body — his livelihood depended on it. The patient was afflicted with chronic low and upper-mid back pain that affected his ability to work. He found himself unable to paint or work on building projects. Without that ability to function physically, he wasn’t sure what to do. The patient tried massage therapy at his physician’s suggestion. With massage, he wasn’t doing any worse, but he wasn’t improving. It wasn’t enough. He came into our office and I listened to him explain his situation. We decided together to work with a combination of chiropractic and some simple solutions to the patient’s diet to improve his health. We improved his inflammation with dietary changes, while chiropractic improved the structure and function of his body. After two months, he’s doing great and is nearly done with active care for his accident. I am thrilled to have helped him get back to work again. These are the cases that make me proud to be a chiropractor. When you’ve experienced an injury or trauma, we’re ready to listen and help you. Call our office today!